11.6 kg. 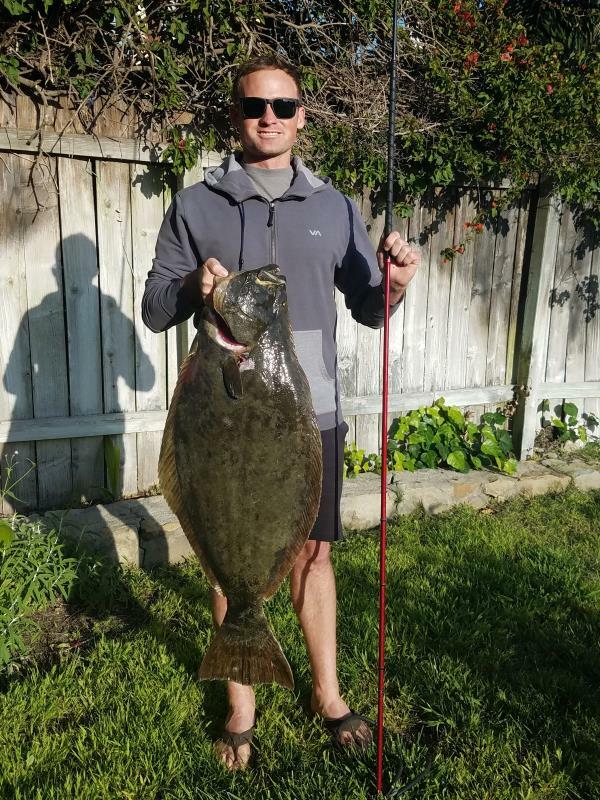 , 25.6 lbs. I was shore diving in an area where I'd seen some large halibut a few weeks earlier and was hoping a few of them had stuck around. This time the visibility was a lot better and I was seeing life everywhere, everything except halibut. After about an hour in the water I get a glimpse of this fatty as the surge of a wave pushes the grass he was hiding under back and forth. I swam around to the side covered by the grass and made my drop. When I thought I was close enough I took a shot right behind his head and stuck him to the ground. Quickly I slipped my hand underneath and secured him to the spear and it was done.